Styled with fitzgerald pant . 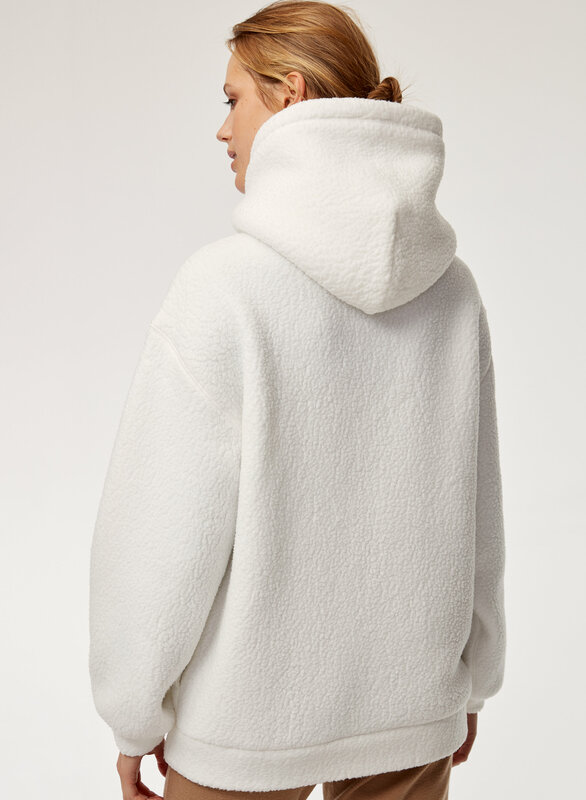 Polar fleece done in a nubbly, teddy-like finish for a textural, vintage feel. An ideal transitional layer with a drop shoulder for a rounder, softer silhouette. This soft comfortable sweatshirt looks as good as it feels. 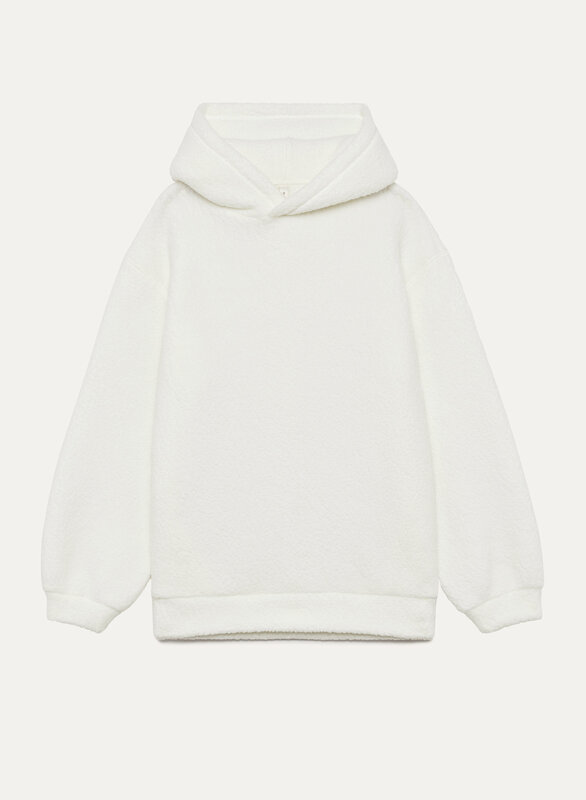 It is a thick warm sweatshirt made with high quality materials. Love this sweater. It is so soft and great quality! It does fit large. If in between sizes, size down. This sweatshirt has a great oversized look and the camel colored is exactly as pictured! My issue was with how worn in it appeared. Based on the picture and other similar textured items artizia carries I was imaginging it nice and fluffy. It looked like a long time favorite you’ve washed a million times and came with lint already clinging to the fabric. The fit is definitely a bit larger! It is comfortable and fashionable. 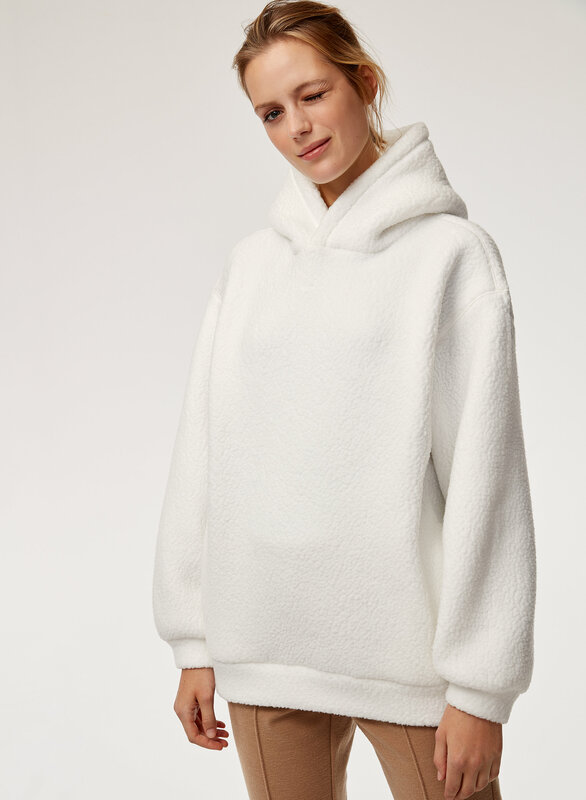 Love this sweater, it is so comfy and such a goto. Super oversized.